Addiction New Zealand Eel(Unagi) from New Zealand's pristine streams and lakes. 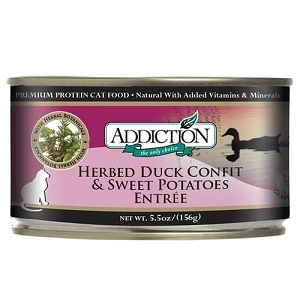 Rich in Omega 3 & 6 Fatty Acids, this ultra-premium food is also ideal for cats that are allergic to chicken beef or lamb. 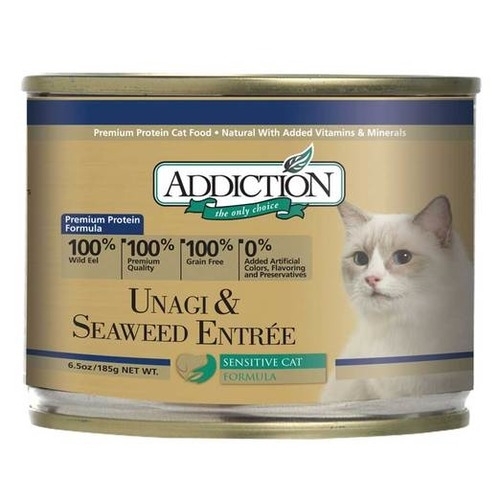 This recipe includes seaweed packed with antioxidants, vitamins and minerals and fiber enhancing the well-being and vitality of your cat. A world's first, this innovative food features delicate and highly digestible New Zealand Eel. 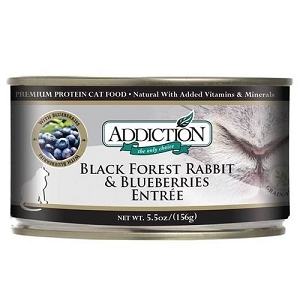 Rich in Omega 3 & 6 Fatty Acids, this ultra-premium food is also ideal for your cats who are allergic to chicken, beef or lamb. Unlike other fish, Unagi does not contain any mercury. This recipe includes seaweed packed with antioxidants, vitamins, minerals and fibre enhancing the well-being and vitality of your cat. As with all new foods, gradually introduce Addiction over 6 days to prevent stomach upsets. Feed 20% Addiction and 80% of the old food for first 2 days and gradually increase proportion of Addiction over the next 4 days. 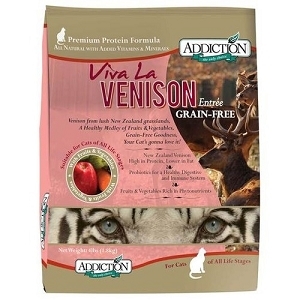 By the 6th day you can be confident of feeding Addiction for the rest of your cat's life.